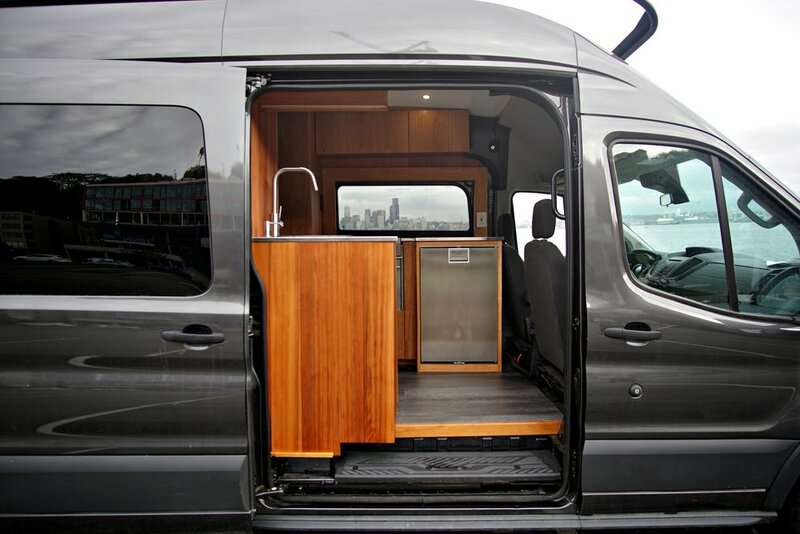 Tob Van was a collaboration project with owner Tobin. 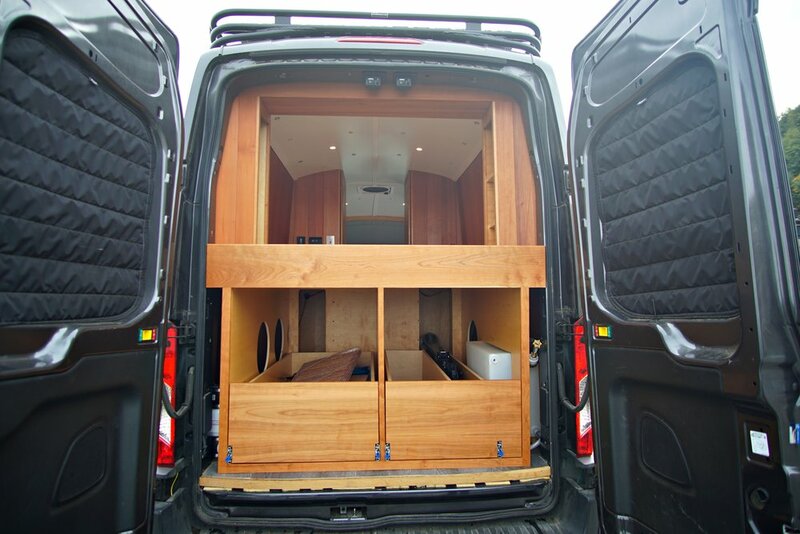 He started his build on his 2016 Ford Transit and needed some help with the woodwork and final touches. He had some beautiful straight grain cedar that was going to be the walls and cabinets sides. We knew we wanted to compliment this and after some discussion and samples we settled on plain sawn cherry. 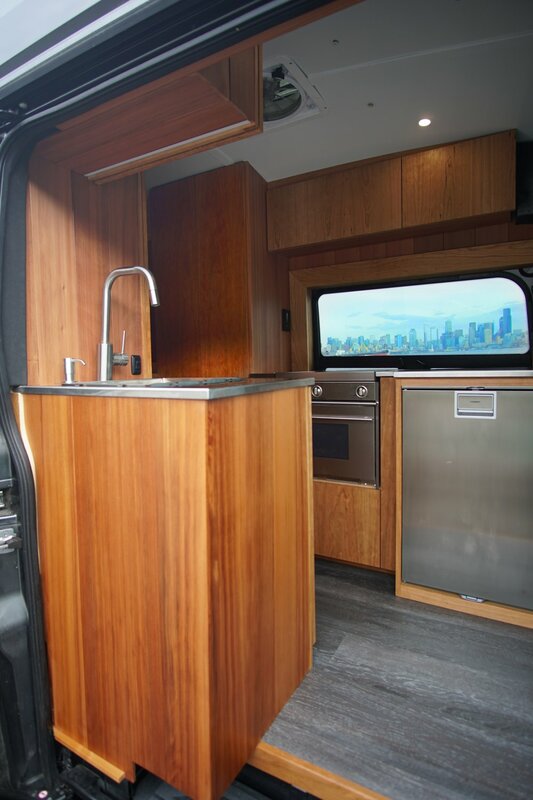 The tones are very similar and the complementary wood pairing work beautifully with the stainless steel countertops and appliances. 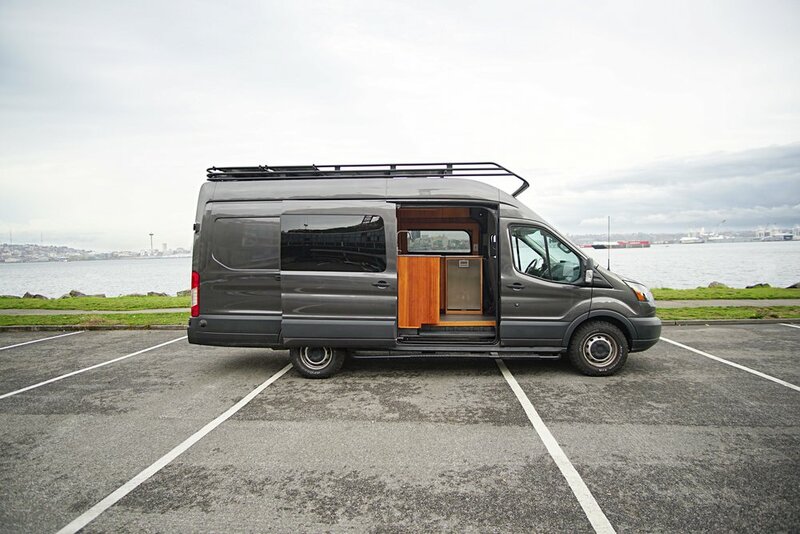 The van is intended for full time living while Tobin completes his education in the Pacific Northwest. 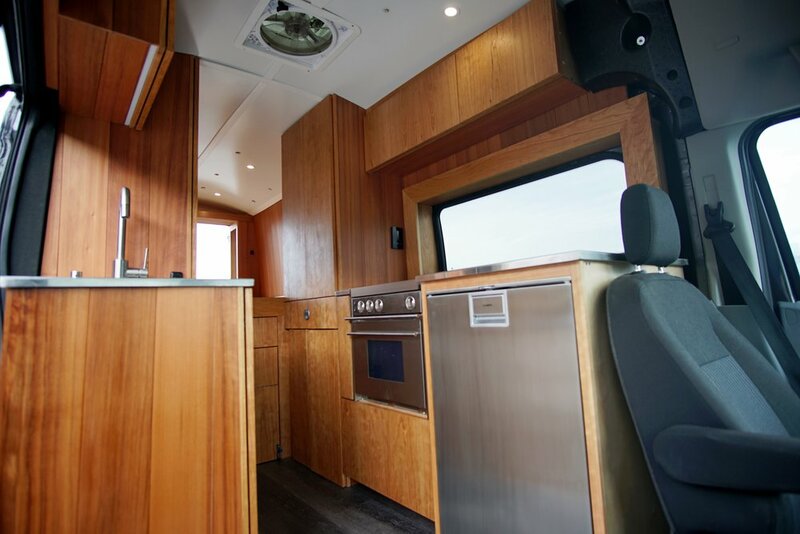 It has a slide out hidden toilet under the bed, diesel fired air heating, a large oven and refrigerator. In the garage area, it has two huge pullouts that can handles multiple skies and all his climbing gear. This also allows for a huge queen size bed space above, not compromising on a smaller sleeping area.